Vince Roig serves as Founding Chairman of the Board of Helios Education Foundation. Prior to forming the Foundation, Vince was the Chairman of the Board, President and CEO of Southwest Student Services Corporation and its affiliates for over 20 years. Southwest was a full service provider of student loan products and services to students, families and schools in Arizona, Florida and nationally. Mr. Roig received his Bachelor of Science degree in Secondary Education from Athens College and his Master of Science in Secondary Education from Richmond College of the City University of New York. He serves or has served on the boards of numerous organizations, including: Teach for America National, Stand for Children National, Take Stock in Children, Greater Phoenix Leadership, Phoenix Aviation Advisory Board, Stand for Children Arizona Advisory Committee, Valley of the Sun United Way and the Phoenix Art Museum. 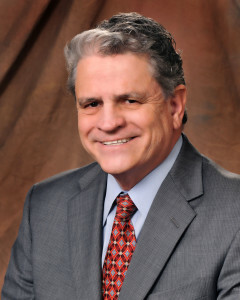 He also currently serves as chair of the board for the Arizona College Scholarship Foundation. Since its inception, Helios Education Foundation has been focused on creating opportunities for individuals in Arizona and Florida to succeed in post-secondary education. Helios is proud to partner with organizations like the Maricopa Community Colleges and the Maricopa Community Colleges Foundation to achieve that goal.